UNITED NATIONS, Sep 7 2015 (IPS) - The United Nations is posting a new environmental warning: the world is running out of time to prevent the gradual degradation of the world’s oceans and the widespread destruction of marine life. In its first comprehensive assessment on the state of the oceans, the United Nations says delays in implementing solutions to the problems already identified as threatening to degrade the world’s oceans will lead, unnecessarily, to incurring greater environmental, social and economic costs. “The ocean rivals the wealth of the world’s richest countries, but it is being allowed to sink to the depths of a failed economy.” -- Marco Lambertini, director general of WWF International. Comprising 55 chapters, the first World Ocean Assessment will be presented to the General Assembly’s Ad Hoc Working Group of the Whole at a meeting scheduled to take place Sep. 8-11. 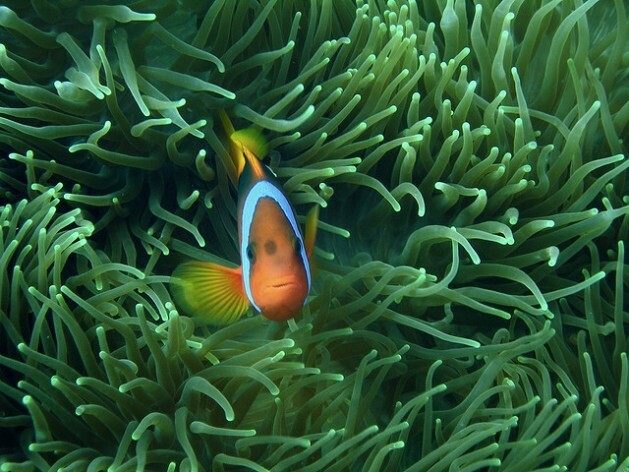 The study found the sustainable use of the oceans cannot be achieved unless the management of all sectors of human activities affecting the oceans is coherent. “Human impacts on the sea are no longer minor in relation to the overall scale of the ocean. A coherent overall approach is needed,” the report stated. According to the United Nations, the Assessment marks the first time ever that scientific experts have assessed the current knowledge on the biological, chemical, economic, physical and social aspects from an integrated, overall perspective. Steered by the 22-member Group of Experts, the scientists selected from the Pool of Experts, comprised of some 600 members worldwide, looked at the oceans, their flora and fauna and the ways in which humans are benefitting from, and impacting on the ocean. The experts examined a wide range of issues that affect the oceans’ ecosystems and marine biodiversity, including the impacts of climate change, ice coverage, the frequency of storms, ocean acidification, land-based activities, unsustainable fishing practices, shipping activities, invasive non-native species, offshore hydrocarbon industries and marine debris. “And they found that the world’s oceans are in dire shape,” according to the U.N. He said the implementation of the post-2015 development agenda and negotiation of a new climate deal present major opportunities for governments, businesses and communities to work together in support of the ocean and the people around the world that rely on the ocean for food security and livelihoods. According to the United Nations, the oceans cover more than 70 percent of the earth’s surface. More than 3.5 billion people depend on them for food, energy and income. By protecting the ocean’s natural and cultural resources, marine protected areas play a central role in addressing some of the global development challenges of today, such as food and energy security, poverty and climate change. Last June the 193-member General Assembly adopted a resolution aimed at drafting a legally binding international treaty for the conservation of marine biodiversity and to govern the mostly lawless high seas beyond national jurisdiction. The resolution was the result of more than nine years of negotiations by an Ad Hoc Informal Working Group, which first met in 2006. The High Seas Alliance (HSA), a coalition of some 27 non-governmental organisations, played a significant role in pushing for negotiations on the proposed treaty and has been campaigning for this resolution since 2011. Meanwhile, in a study released last April, WWF said the untapped riches in the world’s oceans are estimated at nearly 24 trillion dollars – the size of the world’s leading economies. Describing the oceans as economic powerhouses, the study warned that the resources in the high seas are rapidly eroding through over-exploitation, misuse and climate change. If compared to the world’s top 10 economies, the ocean would rank seventh with an annual value of goods and services of 2.5 trillion dollars, according to the study. It saddens me to read about the above article on the scientific report on Oceans. For years, there have been significant international conventions, and conferences related to protecting the oceans, and marine ecology and resources. in an article with the following link: http://pejnews.com/index.php?option=com_content&view=article&id=10369:-sdg-goal-14-oceans-time-to-heed-warnings-discharge-obligations-and-act-on-commitments&catid=74:ijustice-news&Itemid=216. I have tried to show the lack of political will by taking excerpts, related to the protection of oceans and marine resources , from the following Conventions and Conference Action Plans: 1971 Seabed Treaty;1974 Universal Declaration on the Eradication of Hunger and Malnutrition;1982 UN Convention on the Law of the Seas, (UNCLOS),1985 Montreal Guidelines for the Protection of the Marine Environment Against Pollution from Land-based 1992:Convention on Biological Diversity;1992 UN Framework Convention on Climate Change;1992 agenda 21 various chapters links in chapter17 to climate change;1995 Beijing Platform of Action;1996 Habitat Agenda; 2002 World Summit Sustainable Development. In 2015 will there finally be the political will to discharge obligations and act on commitments or will they continue to not heed warnings, not discharge obligations and not act on commitments?